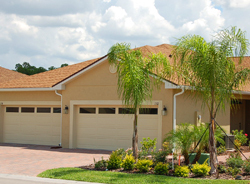 Vienna Square is one of the best senior retirement communities in sunny Florida. Located in Winter Haven, we offer fun in the sun and relaxation in one spot. You have convenient access to many affordable services such as shopping, medical facilities, restaurants, and entertainment. You are close to Florida’s great beaches and major sporting venues. You are also less than an hour away from Disney World and Universal Studios theme parks and have convenient access to I-4, I-75 and the Florida Turnpike. You have the opportunity for independent living. 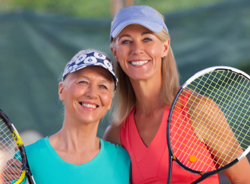 Unlike other senior retirement communities, we do not tie you down to a strict schedule. You are free to come and go as you please. You can choose to eat dinner in downtown Winter Haven or spend the day with your grandchildren at Disney. You can even opt for a relaxing Sunday for two in the comforts of your own home. The choice is yours! Our 7,000 square foot club house is centrally located within the community and boasts a heated swimming pool with whirlpool spa, tennis court, a ballroom and a state of the art theater. It also houses a Billiards room, fitness center and more. We also offer quite a few events and scheduled activities should you choose to partake in any of the fun and make new friends. 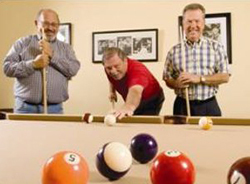 We have one of the most luxurious senior retirement communities around with activities for everyone. You will also get to use all of the amenities and enjoy all of our events when you live in Vienna Square. There clubs, groups and luncheons, parties and karaoke and much more to partake in. We offer movie nights, game nights and tournaments. There is a community outdoor swimming pool and spa, biking and hiking trails and more. We even celebrate holidays with parades and more. We offer a range of events for everyone to enjoy. We offer you fee simple ownership of your home or villa. You own the land and we offer you simplified maintenance. We mow your lawn and maintain all common areas. We also include cable television, a home security system and our security gate with your monthly homeowner fees. For an additional fee you can also choose some of the services offered on our Continuing Care Campus such as laundry service, transportation and weekly housekeeping. We know we offer many services that other senior retirement communities cannot because they either cannot afford it or cannot keep enough staff on hand to accommodate it. Contact us today to learn more about Vienna Square and all the great features and amenities we offer. Tour our community and join in the events and activities that interest you. 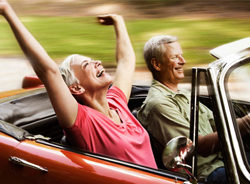 You will quickly see why we are the best in senior retirement communities.